When my mother, Dorothy Lucille Bawden Baker, was a child, perhaps age 6 or 7, she accompanied her mother, Dorothy Erma Evans Bawden (born 1915), and her grandmother, Dorothy Ellen Beagly Evans (born 1895), to visit her great-grandmother, Elizabeth Esther Pierce Beagly (born 1875). 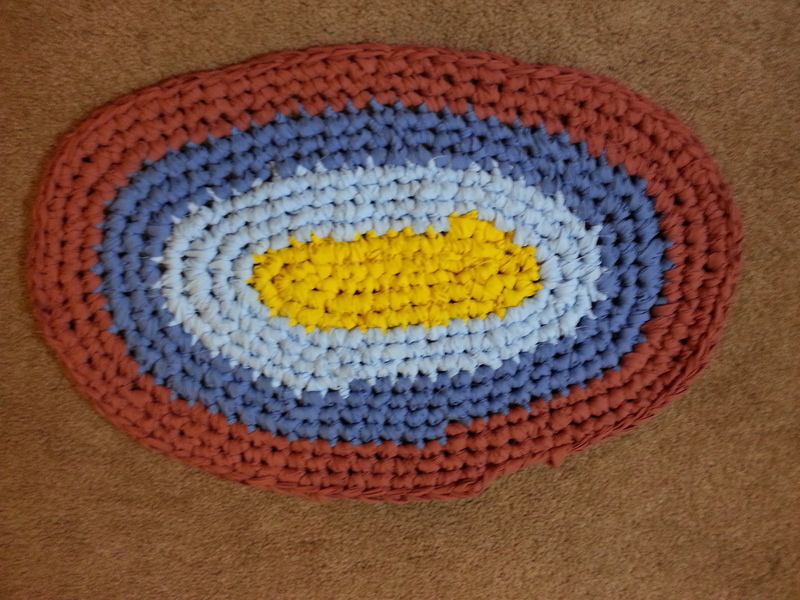 Grandmother Elizabeth was crocheting an oval rug from strips of cloth cut from old clothing. My mother noticed it and told them she liked it. Looking back, what caught her attention most was the notion of making something so beautiful from practically nothing: rags. 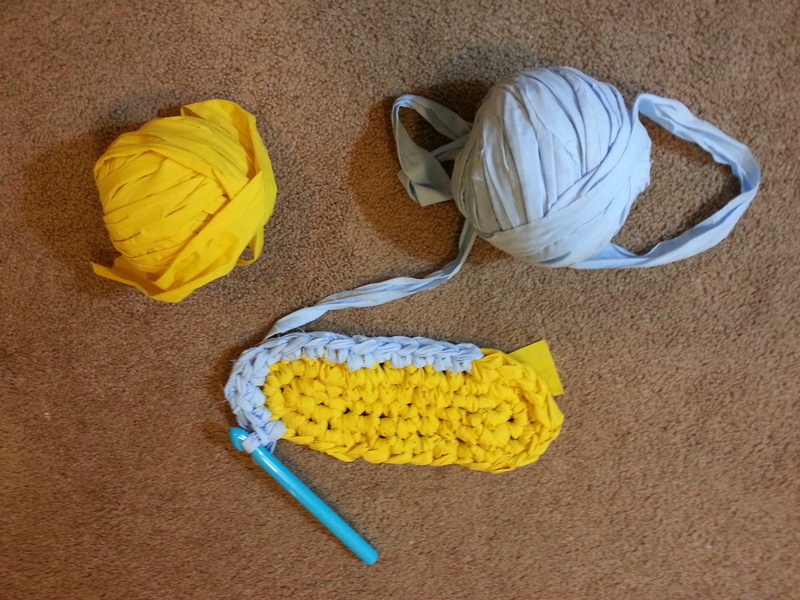 My mother’s matriarchs encouraged her interest and offered to give her a crochet hook and strips of cloth. Grandfather James Edmund Evans (born 1889) carved for her an oak crochet hook. Her mother cut some cloth strips from old clothing for my mother, and taught her the crochet stitch. After my mother’s marriage in 1962, she began her serious crocheting of rag rugs, for she and her new husband, Owen Nelson Baker, Jr., had no carpet or rugs in their home. 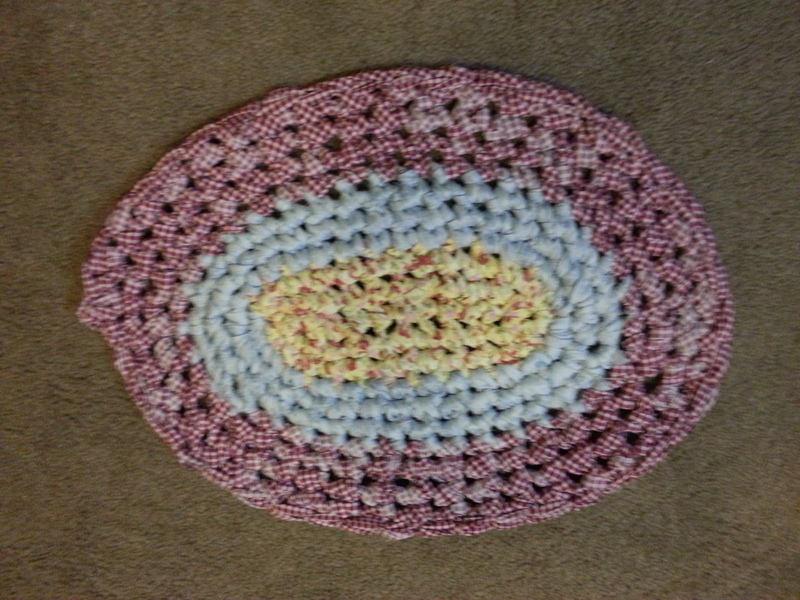 For her first project, she sat on the floor and crocheted an enormous round area rug. After retiring and moving to Utah in 1998, she began crocheting again in earnest. She found her sheets at the Deseret Industries thrift store, and bought a cutting board and cutting wheel. Her rugs can be found throughout her home and the homes of her children. She has given away many rugs as gifts to family and friends. 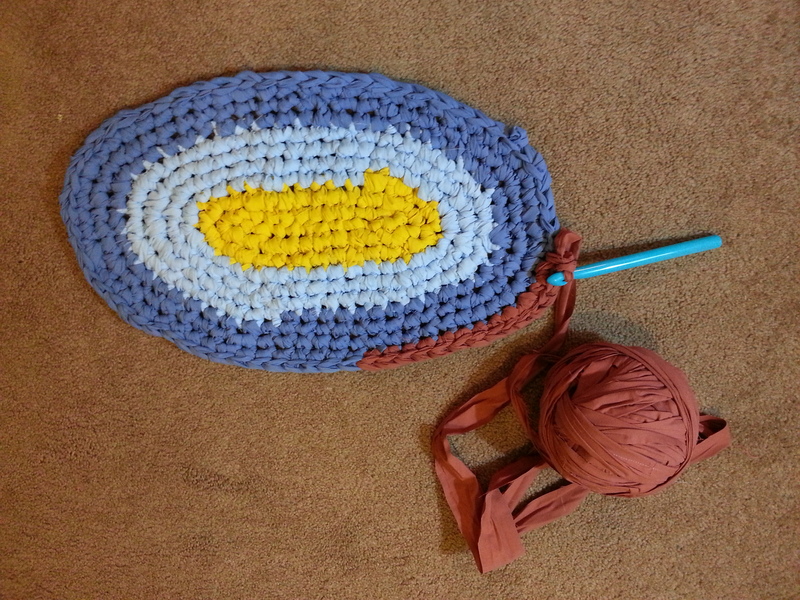 I recently asked her to teach me to crochet. 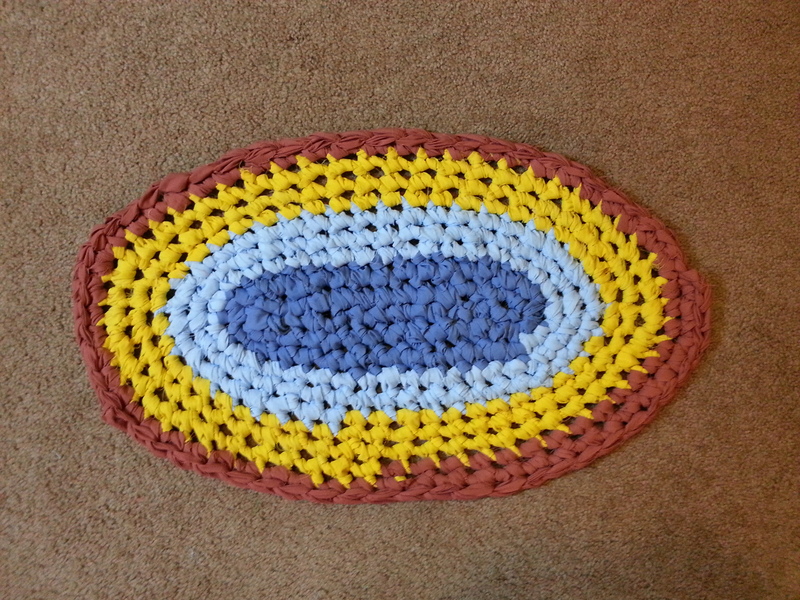 These small rugs, intended as prayer mats, are my first efforts to crochet something from nothing. I made them for my three daughters and my daughter-in-law for Christmas (2015). I hope that my girls find enjoyment in them, and in knowing that they hold a humble work of art six generations in the making. 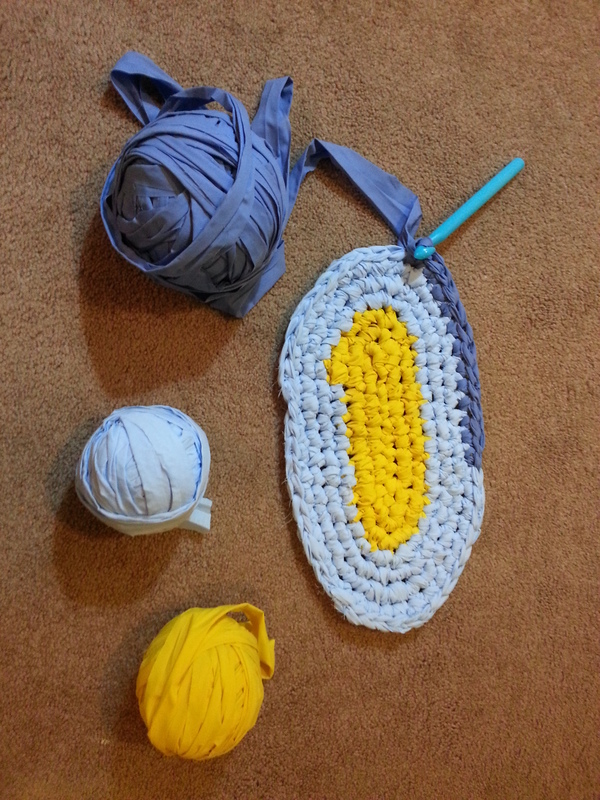 The beginnings of Hannah’s rug, with a sun at the center. Ringed with a light sky, ready for a darker ring of sky. Ready to be circled with dark, rich earth. Laura’s rug: blue evening sky trending toward sunset and night. Erin’s rug: sun, sky, and atoll surrounded by ocean. 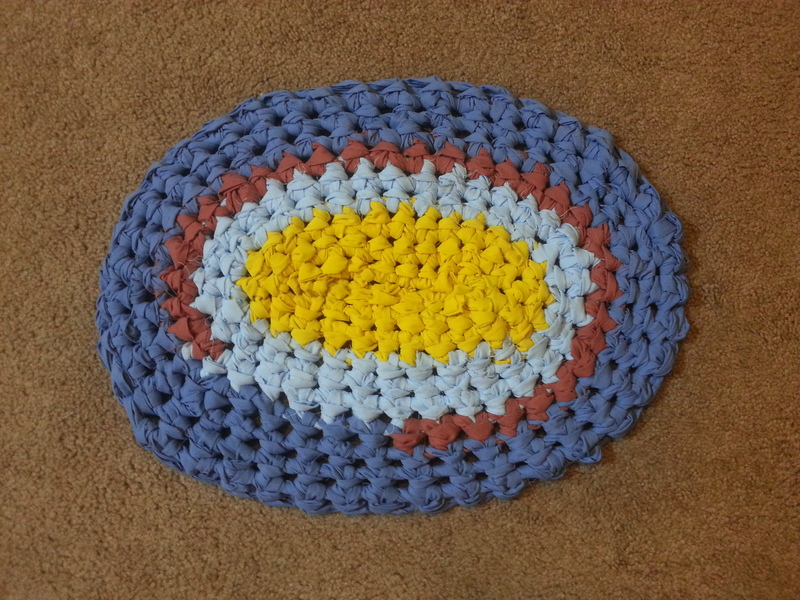 This entry was posted in Family, Love, Memoir and tagged Christmas, Crochet, Family History, Genealogy, Gifts, Rag rugs on January 1, 2016 by Roger Baker-Utah. HAPPY HAPPY NEW YEAR TO YOU AND YOUR FAMILY. ROGER I HAVE ONE OF YOUR MOTHER RUGS. Happy New Year to you too! We are both lucky to have one of Lucille’s rugs. I enjoy making them. Thank you Melissa. 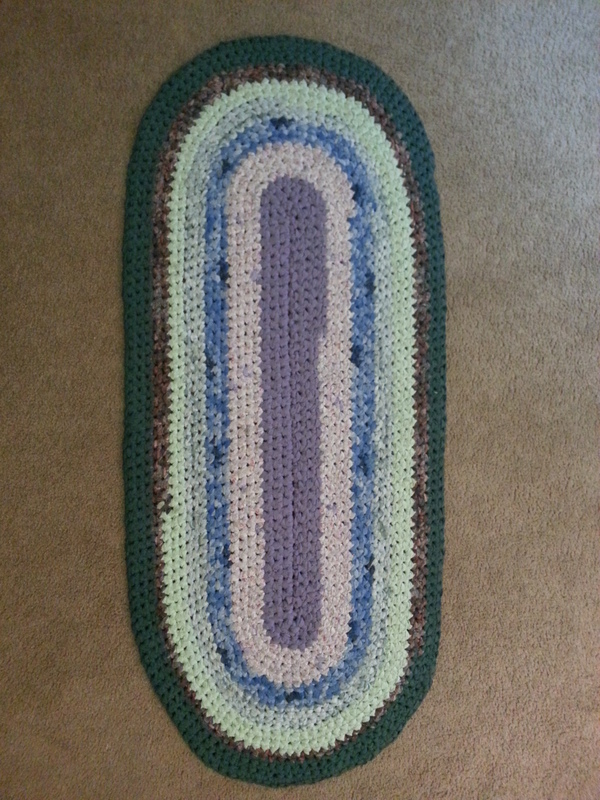 I am finding that friends and family all over the country have a rug my mother made. I hope you find many moments of muse in 2016! Way to fire Roger !!! That is always something that is handy to have around …and to know how to make…And to keep the skill moving down the family line. Thanks Harvey. 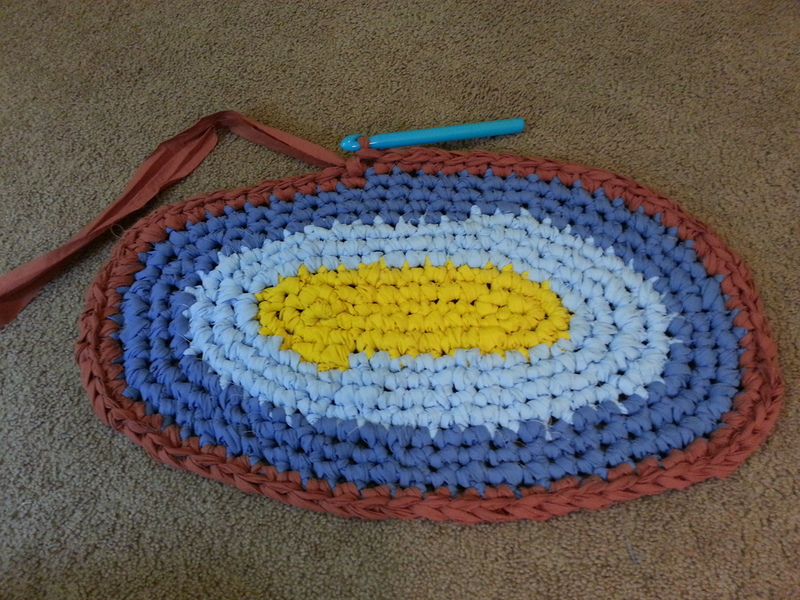 The multi-generational aspect of the activity made it so much more than just crocheting a rug.